A one-time non-refundable registration fee of $32.10 (incl. 7% GST) is collected on a per child basis for each new student successfully enrolling in a term. Each student is enrolled into a 16 week lesson term. The commencement of the term is from the first lesson thereon, and for a period of 16 consecutive weeks. Please make payment by either Internet Bank Transfer, Cheque, NETs or Credit Card at our Westway facility. Fees will be forfeited if your child is withdrawn midway during the term. In cases that are due to medical reasons supported by a doctor’s letter, the balance of the term fees will be returned, less any amounts due. A student may withdraw from the term at any time and receive a refund of the balance of the fees if certified unfit by a medical doctor. Please pay your term renewal fees one month before the current term expires should you wish to continue and guarantee your place in the class. b) Eve of Christmas, New Year and Lunar New Year. Subject to availability, a make-up class for the 2nd and subsequent cancelled classes will be made available in the event the lessons fall on 2 or more public holidays within the term. The make-up lesson must be utilised within the term otherwise the right to a replacement class will be forfeited. Any refunds in lieu of make-up classes will be at the discretion of Little Swim School. For all non-toilet trained children, the school’s management would like to emphasize strict adherence to the use of two layers of diapers, which fits the waist and leg areas snugly, to safeguard all other pool users from unnecessary pool closure due to faecal contamination. Little Swim School reserves the right to ask your child to leave the pool if in its discretion, this clause has not been strictly adhered with. The lesson will be forfeited and you shall not entitled to a refund. If the pool has been contaminated, Little Swim School may hold you liable for all costs and liabilities incurred by it as a result of the evacuation and cleaning of the pool. In the event of multiple breaches of this clause, Little Swim School is entitled to terminate the Agreement and it will refund the pro-rated fees for the remaining lessons, subject to any deduction on account of the cost and damages incurred as a result of the breach. At the time of registration, parents/guardians are required to indicate if their child has any allergies, medical conditions or developmental and/or behavioural issues. We reserve the right to withdraw your child should we deem your child unsuitable for the lessons. We strive to create and maintain a positive environment throughout all classes at our Little Swim School venues. We do not condone any form of physical or verbal abuse or harmful action from any person towards any other person with our centre, including a parent towards his or her own child. We reserve the right to request those involved to leave the class and/or premises immediately. No refund or make up class will be offered in such a situation. From time to time, school activities may be recorded (still and moving images) to be used for media, promotional, academic and training purposes. If you disagree, please advise us in writing and we will take extra care to exclude your child. I accept that Little Swim School including its servants and agents are not responsible or liable for any damage or loss suffered by the student or student’s caretaker/family or property during their time in our school. 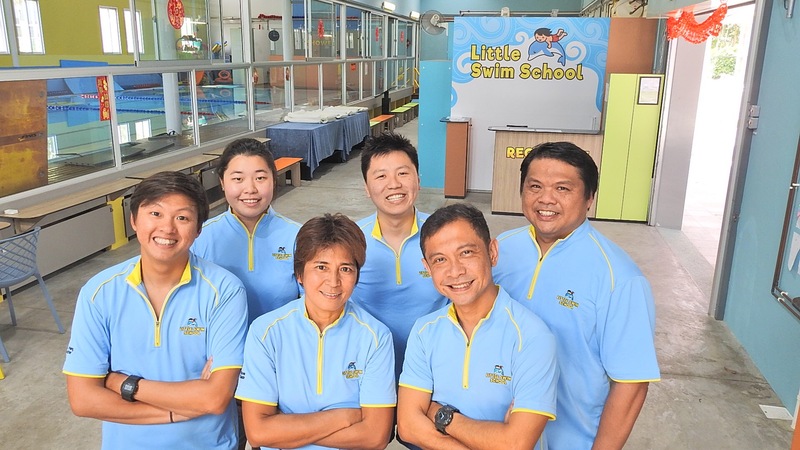 I hereby indemnify Little Swim School, its management and staff against all injuries or liabilities, which may arise from my/my child’s participation in lessons, which is entirely at my/my child’s own risk. Little Swim School reserves the right to amend any of the above Terms and Conditions from time to time as deemed appropriate. Any disputes arising from this terms and conditions must first be submitted for mediation at the Singapore Mediation Centre in accordance with SMC’s prevailing procedures. The Contracts Act (Rights of Third Parties) Act (CAP.53B) shall not under any circumstances apply to any person who is not a party to this Agreement regardless of whether such a person shall be name, referred to, or otherwise identified, or form part of a class of persons so named, referred to or identified, in this Agreement. These Terms and Conditions and the Enrolment Form shall together constitute the “Agreement” and all references to the “Agreement” shall hereinafter refer to such consolidated documents. Each student is enrolled into a 4-month term (16 lessons – 4 lessons per month). The commencement of the term is from the first lesson thereon, and for a period of 4 consecutive months. Please make payment by Internet Bank Transfer or Cheque. A student may withdraw from the term at any time and receive a refund of the balance of the term fees if certified unfit by a medical doctor. Subject to availability, a make-up class for the 2nd and subsequent cancelled classes will be made available in the event the lessons fall on 2 or more public holidays within the term. The make-up lesson must be utilised within the term otherwise the right to a replacement class will be forfeited. Any refunds in lieu of make-up classes will be at the discretion of Little Swim School. .
For all non-toilet trained children, the school’s management would like to emphasize strict adherence to the use of two layers of diapers, which fits the waist and leg areas snugly, to safeguard all other pool users from unnecessary pool closure due to faecal contamination. a) Swim lessons may be suspended with no make-up lessons due to “Lightning Risk Alert” as determined by Sport Singapore policies. b) Subject to availability, a make-up class for the 2nd and subsequent cancelled classes will be made available in the event the lessons are cancelled due to “Lightning Risk Alert”. The make-up lesson must be utilised within the term otherwise the right to a replacement class will be forfeited. Any refunds in lieu of make-up classes will be at the discretion of Little Swim School. c) Classes will be cancelled if 24hr PSI is above 200 and 3hr PSI is above 100. Make-up lessons will be made available. We strive to create and maintain a positive environment throughout all classes at our Little Swim School venues. We do not condone any form of physical or verbal abuse or harmful action from any person towards any other person with our centre, including a parent towards his or her own child. We reserve the right to request those involved to leave the class immediately. No refund or make up class will be offered in such a situation. Each student is enrolled into a 2-month term (8 lessons – 4 lessons per month). The commencement of the term is from the first lesson thereon, and for a period of 2 consecutive months.. Please pay your term renewal fees one month before the current term expires should you wish to continue. c) 1st to 3rd day of the Lunar New Year. d) A make-up lesson will be made available. A class may be rescheduled if you notify us 24hrs prior to the start of your lesson. The rescheduled class is subjected to availability. You are entitled to reschedule up to 2 lessons in a month. Should you miss the rescheduled class, your lesson will be forfeited and you shall not be entitled to any refund. In the event a class is affected due to inclement weather, the lesson may be cancelled and a make-up lesson will be made available. A student may withdraw from the trial at any time and receive a refund of the balance of the fees if certified unfit by a medical doctor.